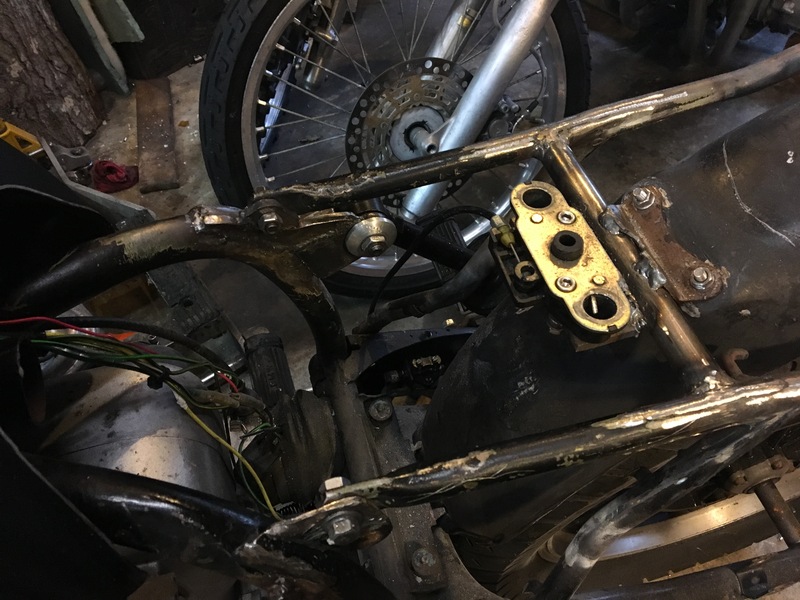 I’m still fiddling with this rear fender trying to get it right. I think I finally have it sorted. To get it right, I pulled the shock and dropped the bike to full bump, then marked the edges to match the wheel. In doing so, I also figured out that the hoop was too steep, so I dropped it about 2in. I also got the light back on it. There’s thoughts it may be too big for this version of the bike, but honestly I like a bigger light. It's actually smaller than stock. LOL. Ha, bmw did like big headlights eh. Maybe it just looks a bit far forward without the gauges behind it? The stock gauges actually don't fit without lifting them up a bunch. 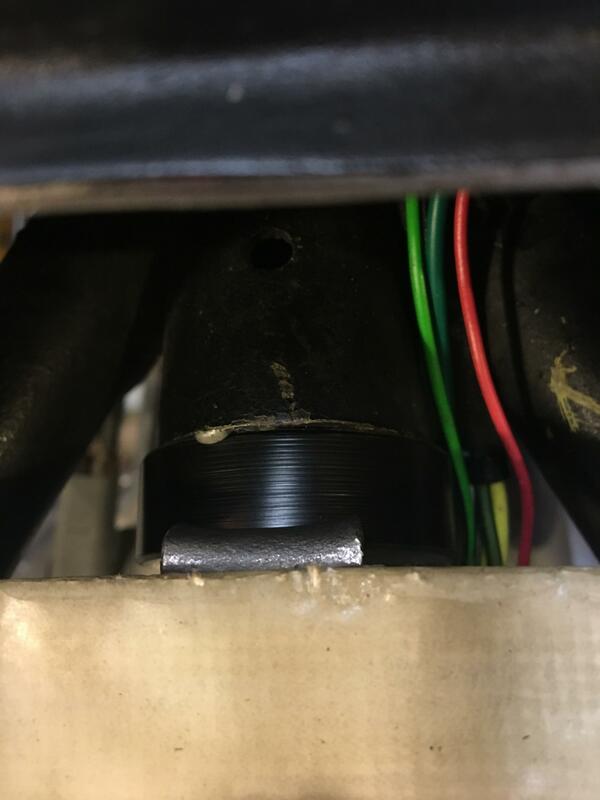 They barely fit with the VZ triple, which had 1.5 times the offset. I like the hoop much more now. The fender could still stand a little more reshaping. A little better, eh? This one is 6v, so I either need to convert or find a 12v similar. I have a Vetter light coming to me, which is much the same shape but larger. 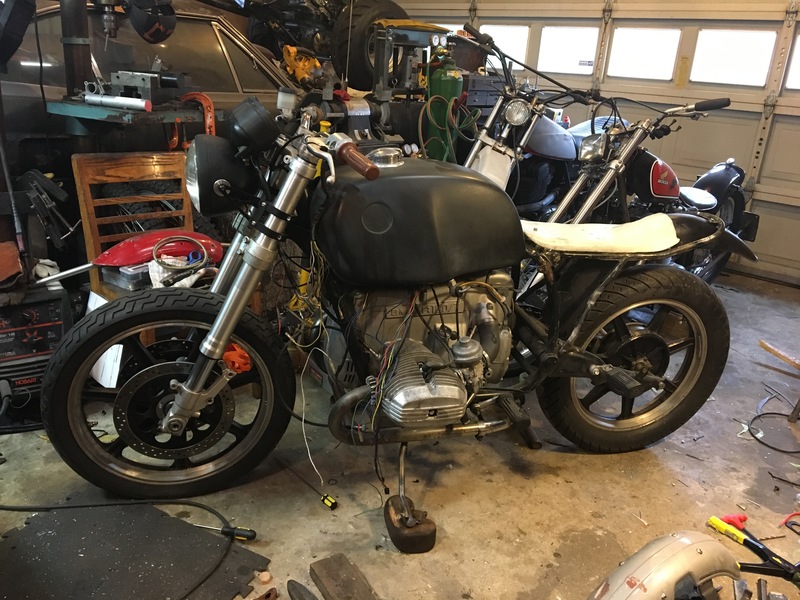 Fender is looking much better....there is something about the tank and seat that don't look right to me. Looks like ther is a peak right where the 2 meet. May just be the camera playing tricks. It's just a seat pan. I haven't made the padding yet. Well, there's no love for my big light but I put it back on. The little light just didn't look right with the gauges. I'm still going to try a Vetter light, but for now the big light remains. I actually like it, despite (or because of) it looking like 1935 Chevy truck headlight. The seat pan is complete. Like all of my seats, I mounted it by a GSXR pillion seat quick release lock. The front of the seat slides into the round tube on the backbone of the frame via a machined delrin cup. 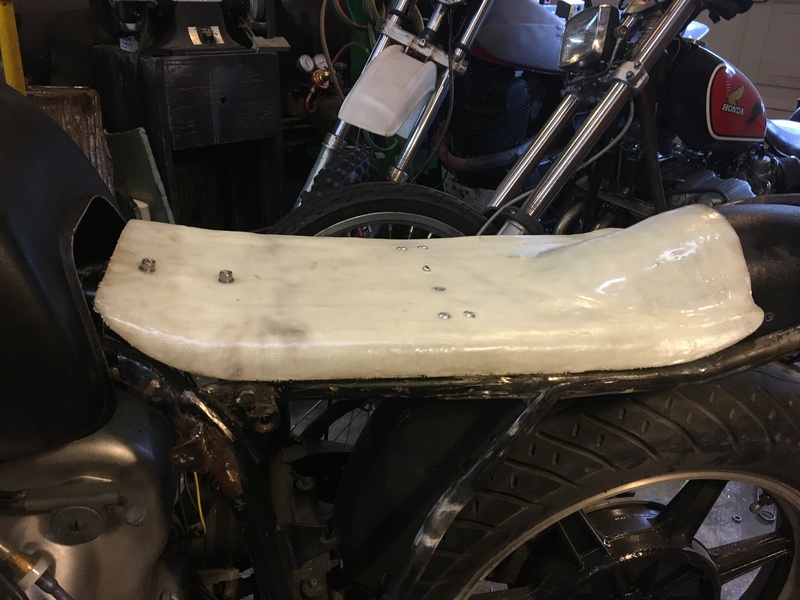 Just a reminder: We are making a Bates Desert Sled style seat. Unlike most Bates seats, mine is a bit more molded, particularly over the fender. 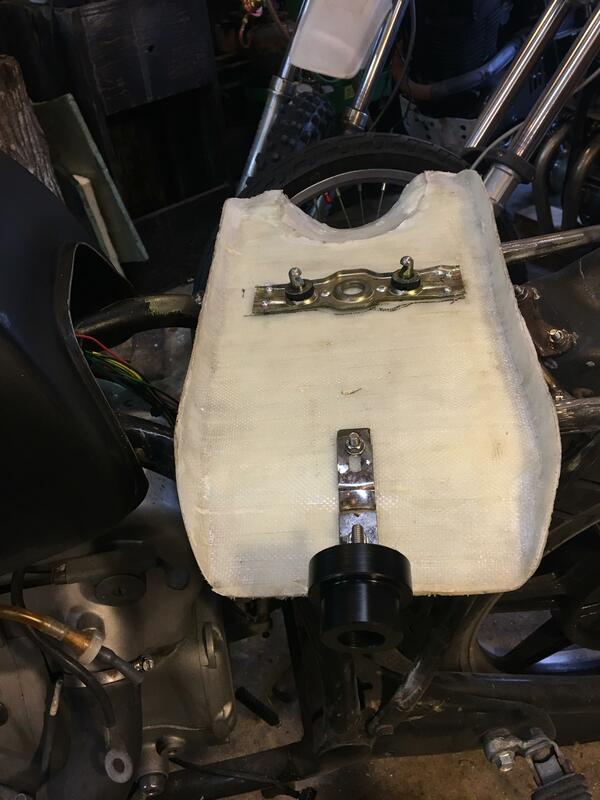 The bates seat typically has a flat sheet pan that is bent to go over the fender and exposing the sides. I've also rolled my edges so I have an extra inch for electronics. It's not much, but I at least want a little air gap.